Our unique intimate all-inclusive Health & Fitness retreats will get you off your feet, energized, out of that rut, and back in shape like no other. Whether you need to lose weight, gain muscle, get back in shape, or you're an athlete that needs to take it to the next level, then OUR retreats are a MUST for YOU! We combine knowledge based classes to answer those confusing nutritional, supplementation health questions along with a daily multitude of energizing & challenging fitness camps that are sure to get you out of that ditch, back on the road, and on top of your game! Our retreats are also very customizable for sports teams looking for that winning edge. Also highly recommended for small businesses or large corporations looking to build strong relationships and a healthier workforce! 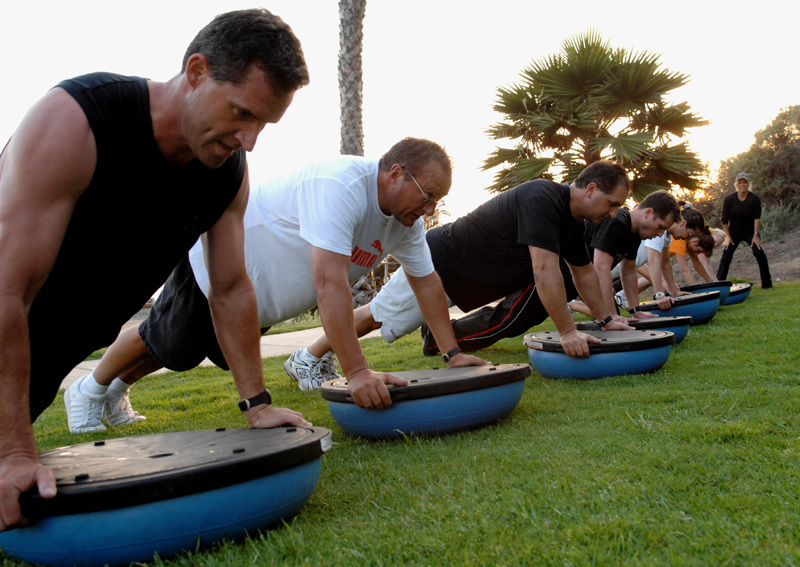 All Levels-Beginner Exercisers, Moderate Exercisers, Advanced- Athlete Levels, & Seniors.